Skillful is a five-level course taking students from foundation to advanced. Each level includes both a Listening & Speaking and Reading & Writing coursebook that complement each other through parallel topics and features. Skillful not only provides the tools for academic success but creates an interactive learning environment which encapsulates student debate. There would be no surprise to find out that Skillful follows a skills-based approach. What is refreshing, however, is that each unit has been carefully compiled to encourage students to think more laterally about the English language, their studies, and the world around them. The students are first exposed to the unit topic through a more familiar, or global passage with approachable vocabulary to ensure they’re composed and confident with their task. The second, and longer text has more detail so necessitates the student to think more, requiring them to engage fully with the associated tasks. 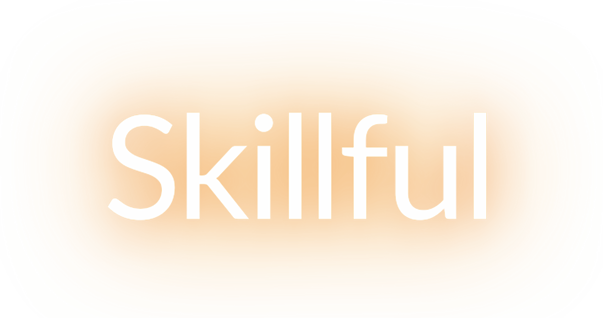 Skillful provides a strong focus on study skills supplying students with practical guidance and support, touching on new life skills such as time management, organization and preparation, while building confidence for independent learning throughout their university career. In order to successfully implement these skills, at the end of every unit in both the Listening & Speaking and Reading & Writing coursebooks there is a dedicated study skills task. In every other unit, the last page presents an example scenario about a student, and asks the reader to think critically about whether they demonstrated success or showed a need for improvement. Dorothy now concentrates on writing and editing ELT materials and conducting teacher training workshops. Her areas of speciality and interest are teaching writing, teaching reading, business English, academic English, testing. David has 25 years of experience as a teacher, trainer, program director, editor, and materials developer. He has taught in Japan, Korea, Saudi Arabia, and Morocco, and has conducted multiple teacher-training workshops around the world. As well as the author of the Foundation Level Student’s Books, David is also the author for Level 1 Reading & Writing and co-author of Level 2 Listening & Speaking. Lida has been involved in ESL for more than 30 years. She has written several exercises books, teacher’s manuals, test packages and, online courses. 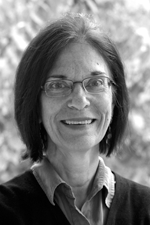 She is a lifelong member of TESOL and Past Chair of the Materials Writers Interest Section. Steven has taught in the US, UK, France, China and Japan. He is currently a professor at J. F. Oberlin University in Tokyo, where he’s been for 20 years, teaching undergraduate and post-graduate courses in oral communication, writing, presentation skills, TEFL methodology, and curriculum design. Robyn Brinks Lockwood teaches courses in spoken and written English at Stanford University in the English for Foreign Students graduate program and is the coordinator of the American Language and Culture undergraduate summer program. Robyn has edited and written numerous textbooks, online courses, video programs, teacher’s materials, and textbooks for writing, speaking, and listening English courses and TOEFL preparation. 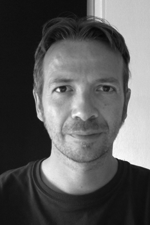 Louis has been an English language teacher for over 10 years, working in the UK, Germany, Portugal, and Italy. Much of this teaching has been to adults or young adults and mostly variations of English for specific purposes, in particular – Exams, Business English and EAP. 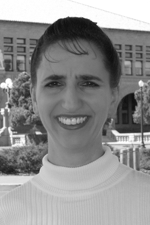 Jennifer has written and developed ELT materials for more than 15 years. She has written textbooks for all ages, levels, and native tongues, and has been involved in the development of several of the most long-ranging and successful English language courses in print. Living in New York City, she is the founder and director of Science, Language, and Arts, a French and Mandarin immersion elementary. Jenny has been an ELT teacher in Colombia, Japan, and the U.S. in a wide variety of programs, including private language academies, community colleges, and intensive programs. She holds an M.A. in TESOL and is the contributing writer in a number of ELT textbooks. Mike was an English teacher and an editor of teaching materials for many years before becoming a writer. He has written coursebooks, videos, and online materials. He has taught English as a Second/Foreign language in Japan and the United States, and is a graduate of the Iowa Writers’ Workshop, where he taught courses in academic and creative writing. As well as co-author of Level 3 Listening & Speaking Mike is also the co-author for Level 4 Listening & Speaking. Ellen Kisslinger holds a M.A. in Applied Linguistics. She has taught in China and Japan and at several universities in the United States. She is currently a materials developer and teacher trainer. Her main interests are Global English and English for Academic Purposes with a focus on preparing students for academic listening and note taking. She has authored and developed a number. Lindsay is a teacher, trainer and international award-winning author of books for teachers and learners of English. He is the lead author of Global, the new critically acclaimed course for adults from Macmillan. Lindsay’s work has appeared in major ELT magazines and he wrote a column for the Guardian Weekly on topical lessons for teens. Mark has been teaching English in Spain and his native Scotland since 1993. He currently works at The Modern Language School of the Autonomous University of Barcelona (UAB). 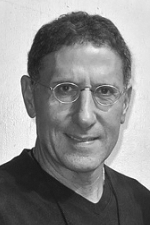 He has been a tutor on the LTCL Diploma in TESOL in Barcelona since 2003. He has also written supplementary materials for Macmillan’s Straightforward and Global coursebooks. Lindsay is a teacher and teacher trainer at Bell International College, Cambridge teaching English to young adults from around the world, many of whom are preparing to go to a British university. She is a CELTA trainer and trains overseas teachers in the UK and abroad in general methodology, new learning technologies and British culture. She has written materials for various coursebooks, some of which include Inside Out and Gateway.